MRSA (Methicillin Resistant Staphylococcus Aureus) is highly antibiotic-resistant bacterial strain. It is very contagious and have many people wondering if mrsa is curable. It is spread by direct skin contact with an infected person, even shaking hands with an infected person has been said to spread the infection. Sharing of personal items like towels, bathing nets or sharing of athletic gym equipments can also spread the infection. MRSA has been reported to be very common amongst our athletes. So we asked; is it harder to cure MRSA in athletes? Athletes experience repeated direct skin contact with each other every time they are together. Skin of athletes easily break especially when they are doing their training or when they are competing against each other, injuries leading to breaking of the skin may occur which if left without covering, MRSA bacteria can easily enter the body. 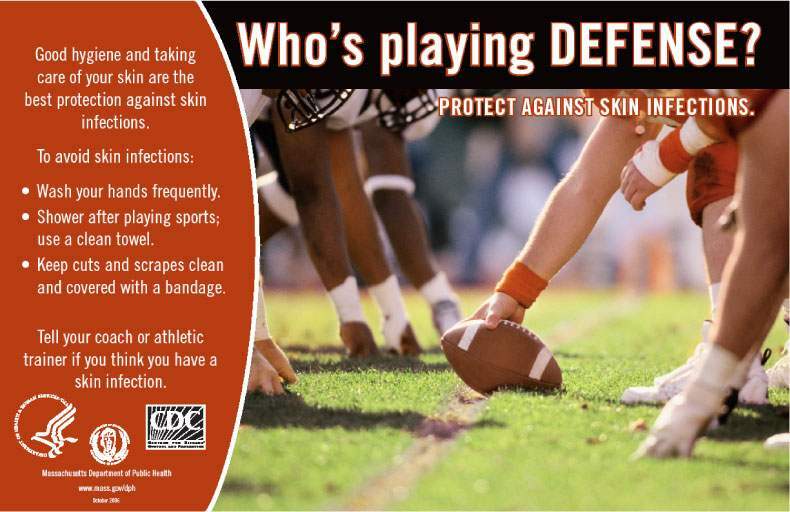 Athletes always share items (even personal items) and various surfaces which sometimes come into direct contact with skin of infected and uninfected athletes. Many athletes are also not so strict or cautious of their hygiene and this has greatly contributed to the spread of the disease among athletes. Ensure you greatly improve your personal hygiene. Always keep your hands clean by washing them with soap and clean water, take a bath immediately you finish your exercise and avoid sharing soap and towels in the bathrooms, and after you are through with the day’s training wash your uniform or games kit and only use again once dry. Take great precaution with the common surfaces and athletic equipments you may come into contact with or share amongst yourselves during training. Wearing clothes to prevent your skin from getting in contact with the surface will do the trick and always cover any cuts or scrapes on your skin with a clean dry bandage. Avoid sharing of items which may have direct skin contact like clothes, towels, soaps and even bathing nets. The athletes who are highly exposed to spreading MRSA bacterial infection among themselves include wrestlers, footballers and rugby players. Proper wound and skin care with antibiotic treatment will ensure you recover completely. So is MRSA curable in our athletes? The answer is yes. As long as the athletes are taking it seriously and stopping the infection from spreading, it can be cured forever. To learn more about MRSA, its symptoms and treatments, click here to follow Online Health Spot’s Twitter account which has the most up to date information available.